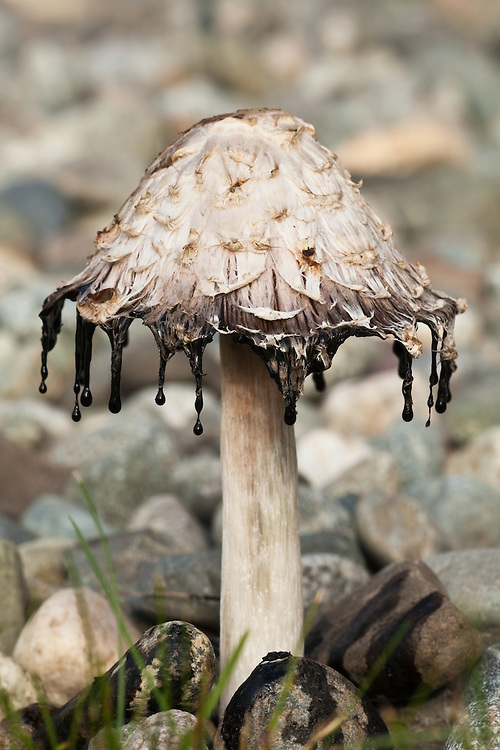 The Inky Cap mushroom that dissolves into an inky black fluid in Chugach State Park, Eagle River in Southcentral Alaska. Fall. Morning.